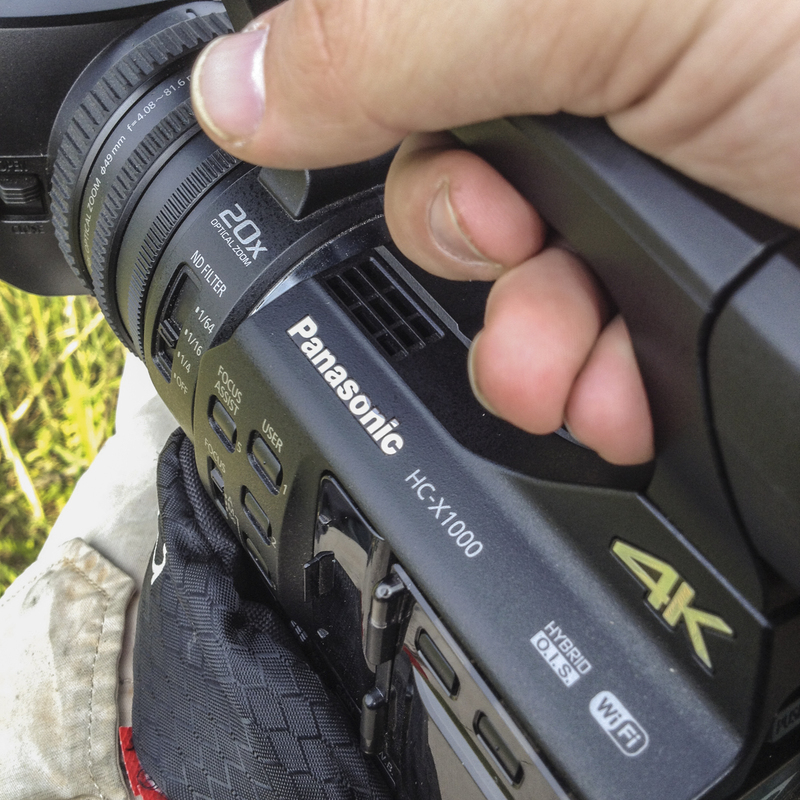 Having worked with a workhorse such as the HVX-200 it was a refreshing change to get ones hands on the brand new 4K cameras from Panasonic. The immediate difference was its size and weight. It was almost half the size and definitely a kilo lighter (Definitely feels that way). With most things, we do not get any time to look at the aesthetic of things and really don’t give it much of its admiration that the designers have put so much effort in to make it look pretty. We took it out of the box and into a bag and checked ourselves into our flight bound to Nepal and paged through the manual on the flight (more like a flip book). 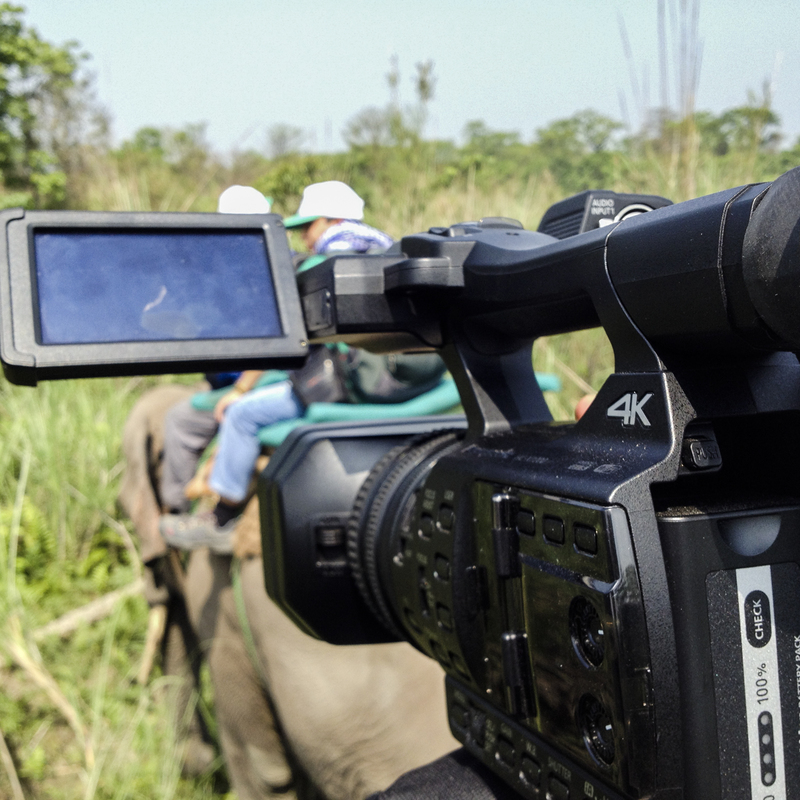 The task of the camera was to cover a grueling survey that was conducted on the backs of elephants for an estimated time of 12 hours and the camera needed to be constantly in standby mode. The camera’s battery did a brilliant job of this with only one change. The camera never felt heavy or cumbersome or even out of balance. It was a great tool and did the job well. The added feature of the touch screen did give it a bit of a new age feel to it and made going through the manual very easy and intuitive. The manual was easy to read and navigate even though we were being rocked around 10 feet from the ground with nothing much to hold on to. A bit of a miss for me was that some of the settings (even though they are not used much) are a bit hidden in the menu in the User button function setup and have to be pulled to the front (bit of a petty observation). I think, I need to step back a few steps and give you guys an idea of the conditions to make a better point on how the camera performed before I continue. Mode of transport: Elephant back and sometimes-on top of jeeps. I can only look back and remember how well the camera worked with all that was being thrown at it. The buttons were in convenient places and did not require hunting around trying to find the correct button (this is made easier if one has worked with Panasonic cameras before). The screen was at a really nice height, which enabled me to hold the camera in a more comfortable position. Which brings me to my next point. The O.I.S. that this beauty has is what makes the camera a brilliant B-roll or BTS camera (being used considerably without a tripod). This camera gives you some beautiful stable shots even at 20x or sometime with the iZoom (40x). This feature has saved numerous shots that with out a doubt would have been trashed if any other camera were being used. I did not get to dabble with the chance to shoot some of the content at 4K since a specific high end memory card is required (SanDisk 64GB Extreme PRO SDXC UHS-II or Lexar Professional 2000x 64GB SDXC UHS-II/U3). Time-lapse mode is a bit of an unnecessary feature that has been included the intervals which have been given are not of any use to get a beautiful time-lapse. Best is to stick with the DSLRS for that. This camera does the job right out of the box. Even hitting it into inteli Auto is not that much of a problem; the camera does a reasonably good job of getting a clean and usable shot. ISO is a bit of a let down, in low light the camera picks up a bit of noise that is a bit too ugly to use in once edit. Another concern I had was the screen storage compartment. It is a slide in and slide out mechanism and this was not a good thing as the conditions that we were in allowed for dust or sand particles to get on the screen and then scratch away on the plastic when one is pushing the screen in. There is no way to clean the inside compartment from foreign particles which could cause further damage to the screen in the long run. The learning curve is very small, few buttons that does not confuse you too much. It has a solid arsenal of features that don’t get advertised to much but can come in handy when explored more. It is well all rounded and very capable camera and definitely one that can go into one’s kit for a behind the scenes camera. – OIS is something that one can fall in love with. – ISO could be better with this camera in this day and age. – Screen being in a slide in compartment. 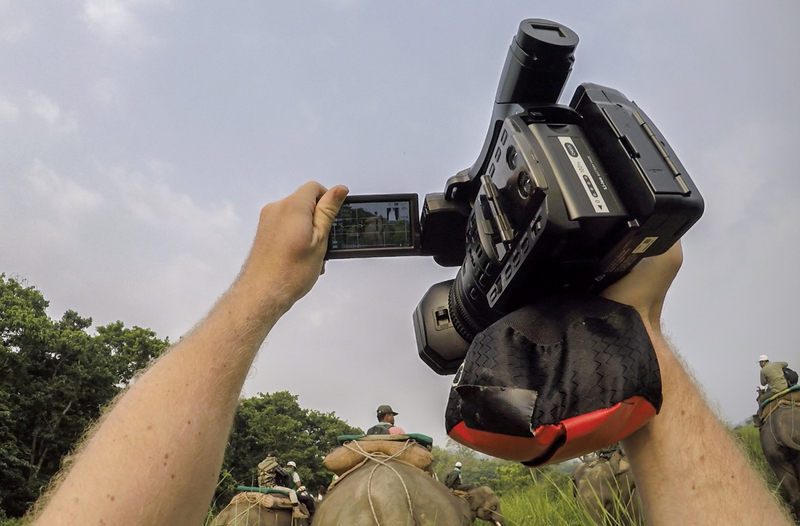 A top flip like the old Sony’s camcorders would be more suitable. – iZoom is a bit deceptive. Image looks clean on the screen, but a bit grainy once on the big screen. – B-roll or Behind the Scene. 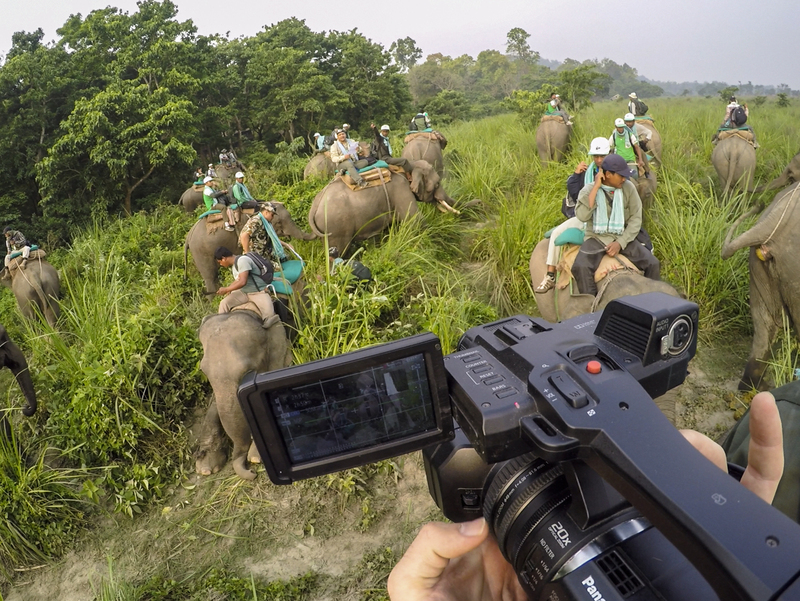 Pingback: Felis Creations Blog | CHITWAN: RHINOS ON ELEPHANT BACKS!